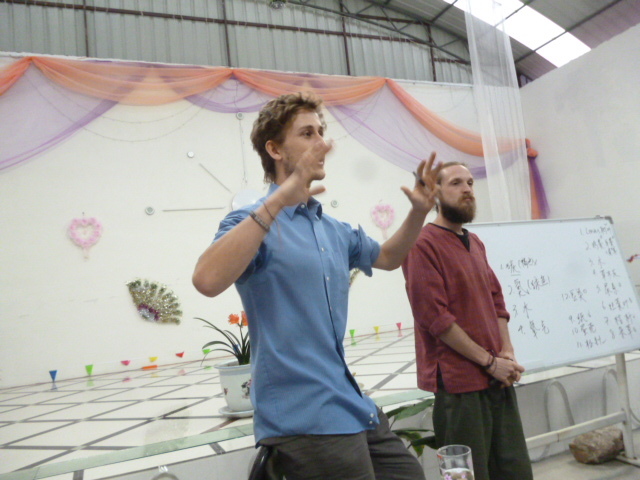 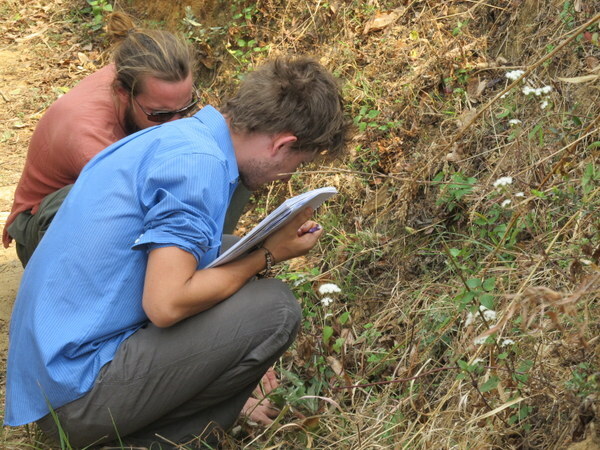 Brecht and Nick were asked by their former Permaculture student Venkatesh Dharmray, to do a full permaculture evaluation of all their systems in the three branches of the Chinese Ecovillage Life Chanyuan. 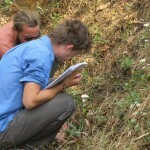 The sites equal 600 hundred acres, spread out over three branches, each having distinctly different microclimates. 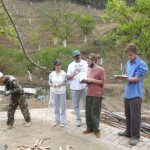 They spent one day at the first two sites and seven days at the third. 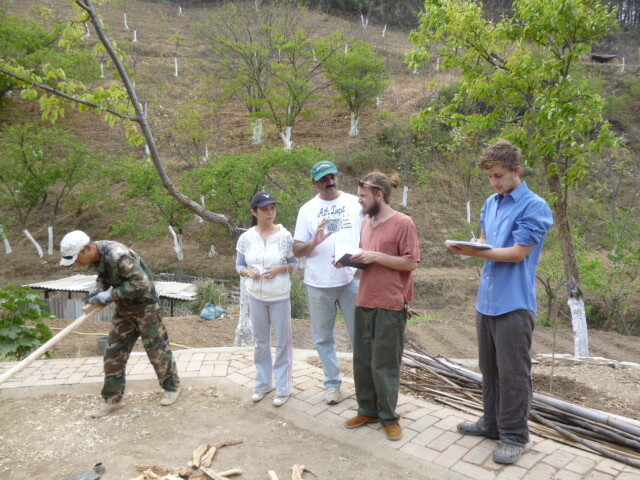 During that time, they performed three site observations and have written 56 page long “Life Chanyuan Permaculture Manual” specifically adapted to the site and its resources. 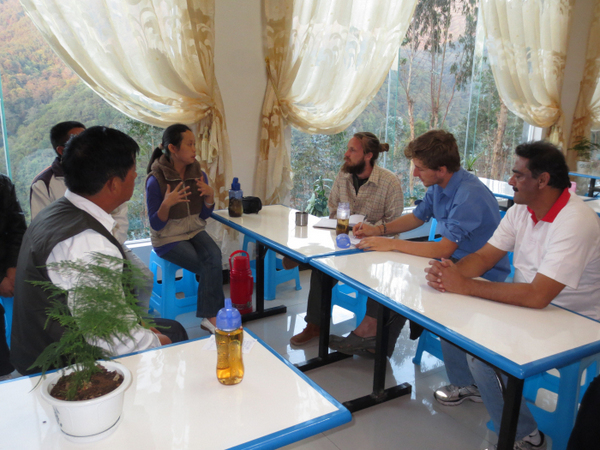 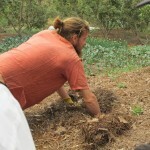 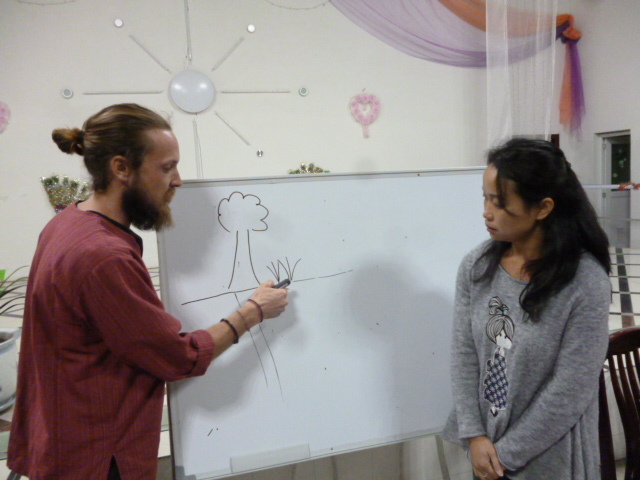 During their stay in each branch, they gave introductory classes on Permaculture ethics and strategies. 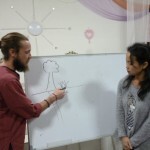 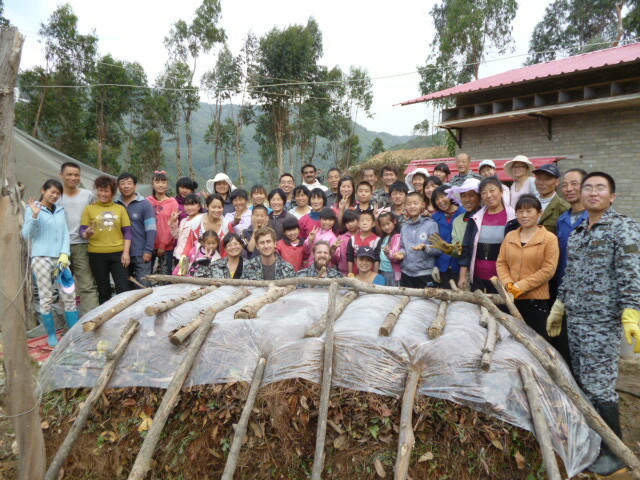 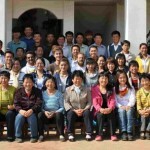 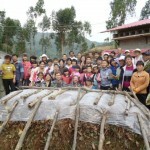 Over the nine days they were there, they were able to introduce Permaculture to 165 Chinese people ranging from children, age 8, to elderly in their eighties. 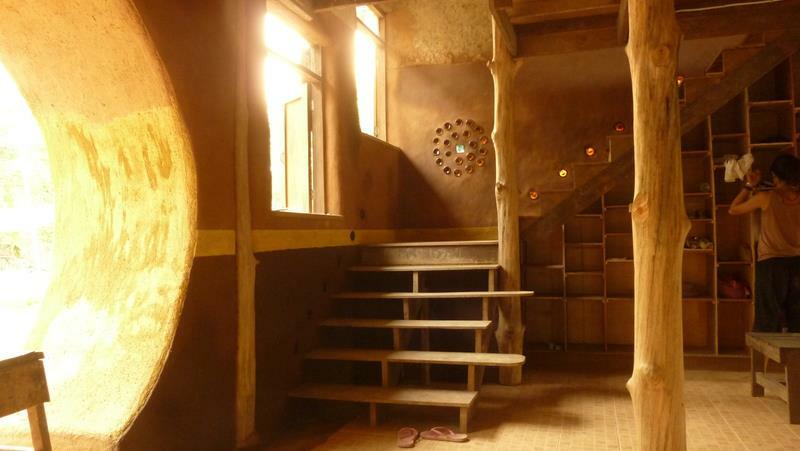 In January 2013, Christian Shearer and Geoffroy Godeau of the Surplus Design team coordinated and supervised the rebuild of the biggest natural building ever built at the Panya Project. 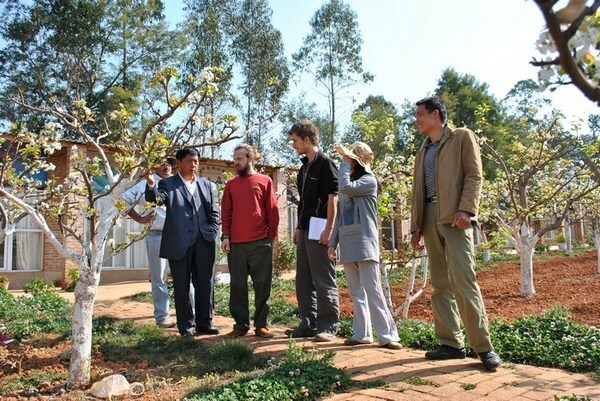 The new main building measures twenty meter long, seven meter wide and two storey’s high. 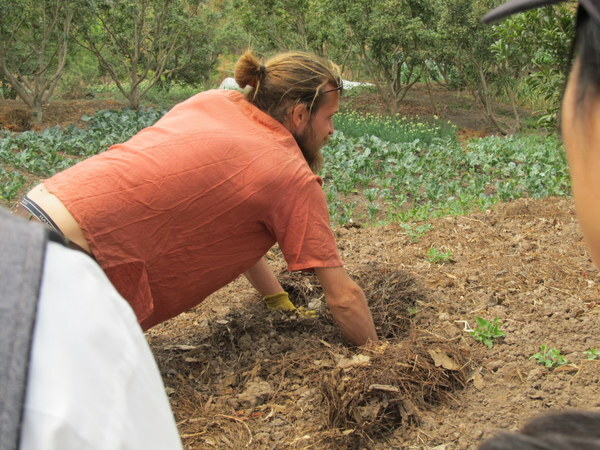 During two one month long internships, with the help of fifteen natural building interns and a ten people support crew, the old main building was completely demolished (everything but the concrete slab, the adobe bricks were reused in the new building) and rebuilt. 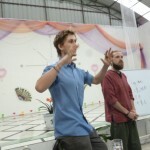 The building hosts a variety of natural building techniques and features a kitchen, dining room, library, teaching space and yoga platform. 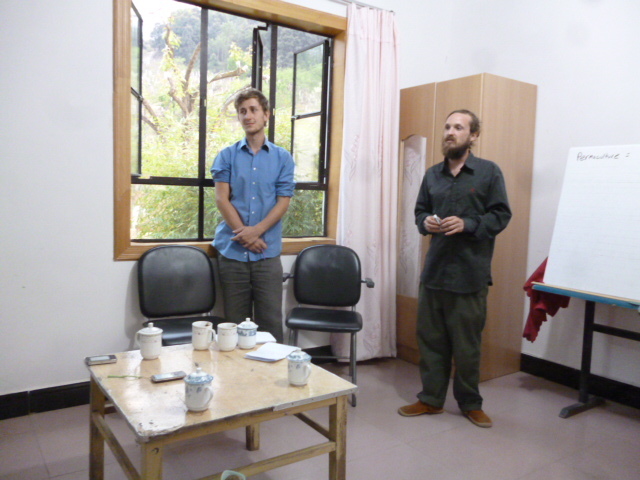 The design was done by Christian, with the assistance of Peter, a retired civil engineer.